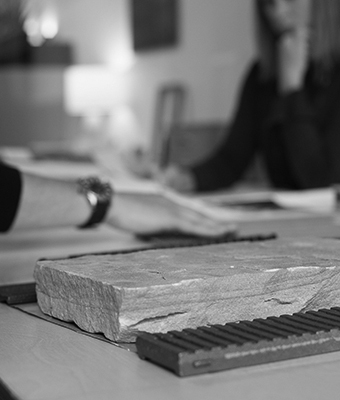 WE WORK SMART – our office is shaped by a highly intelligent team committed to providing creativity. WE LOVE A GOOD STORY – through timeless and creative design, our works will be as relevant in fifty years as they are today. WE COMMUNICATE IN UNISON – with our clients, our consultants, and our collaborators to build trust and lasting relationships through a fundamental understanding of excellence. A native of San Diego, Curtis has always appreciated San Diego’s countryside and its incredible diversity. With a passion for ecology, he graduated from SUNY – College of Environmental Science and Forestry, focusing on built landscapes and natural ecosystems. 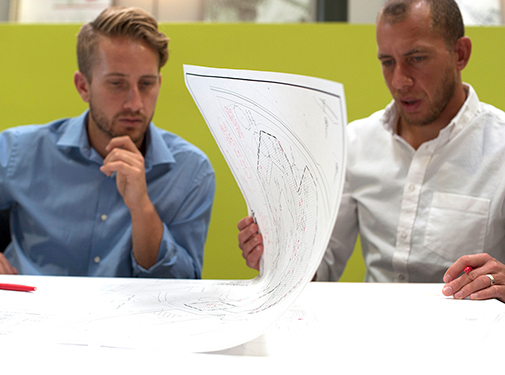 Curtis enjoys contributing at GroundLevel to solve complex design problems. Outside of the office, Curtis likes visiting zoos, gardens, and museums, or exploring the outdoors through birding and hiking. 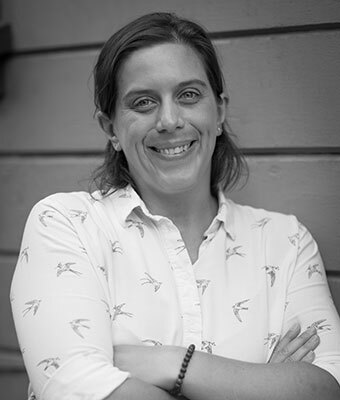 Melinda joins GroundLevel with over 12 years of experience working as a Landscape Architect in Virginia and her birthplace of Melbourne, Australia. During her career she has worked on a broad range of institutional, commercial, open space and residential projects with a common thread of striving to create beautiful and functional spaces. When not working Melinda is busy spending time with her family and exploring Southern California and beyond. With over 17 years of experience, Brad has a wealth of experience in leading complex projects from concept design through construction. 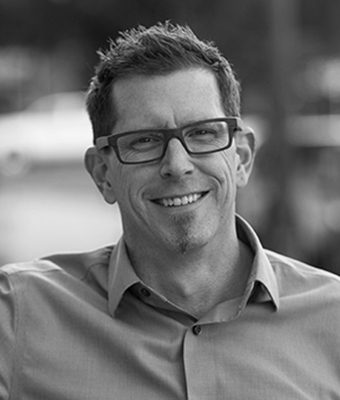 Brad’s core strength is his ability to develop creative, yet grounded design solutions centered on his client’s goals. His creativity, technical knowledge and real-world experience allow him to develop solutions for projects of any size, scale, and level of complexity. His “off the field” interests include hiking, tennis, yoga and scuba diving. 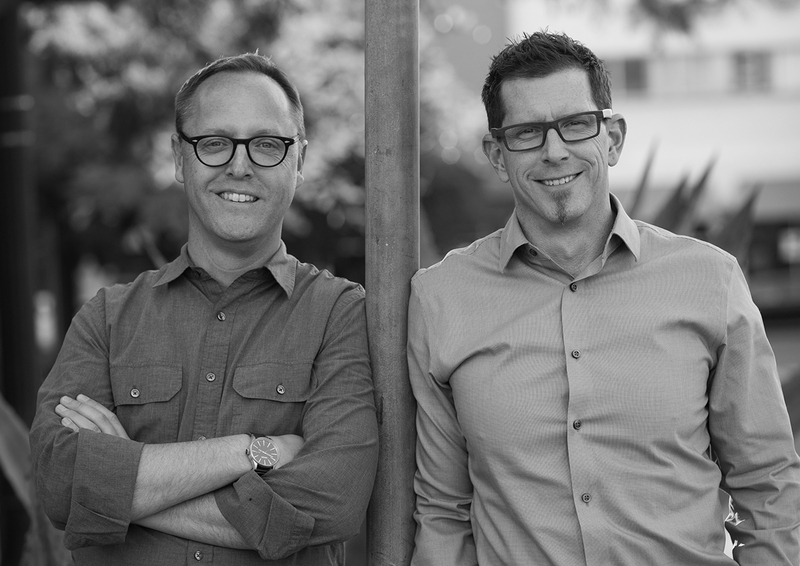 After graduating from the University of Connecticut in 1999, James made his way to San Diego to work on resort planning, high end residential communities, urban development and upscale retail. 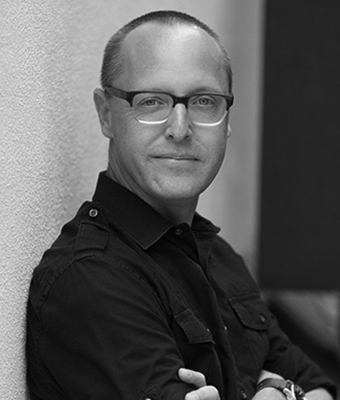 James has planned and designed many modern residential projects that respond to the needs of smart, savvy millennials. James spends his free time with his family, often on the hiking trail. 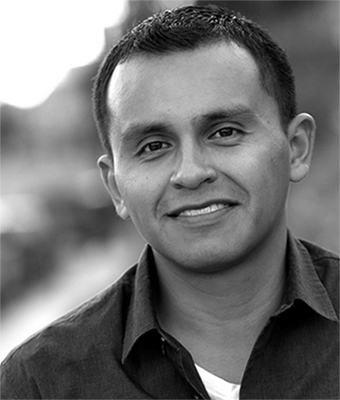 José Miguel Rodriguez is a graduate of Rutgers University with a Bachelor of Science in Landscape Architecture. His career path has taken him from one coast to the next, but his focus remains the same – to create thoughtful spaces that respect the character of place. A native of Dominican Republic José enjoys all things ‘island’, give him a pair of boardshorts, flip-flops, cervezas, and plenty of sunshine and he’s bound to be happy! 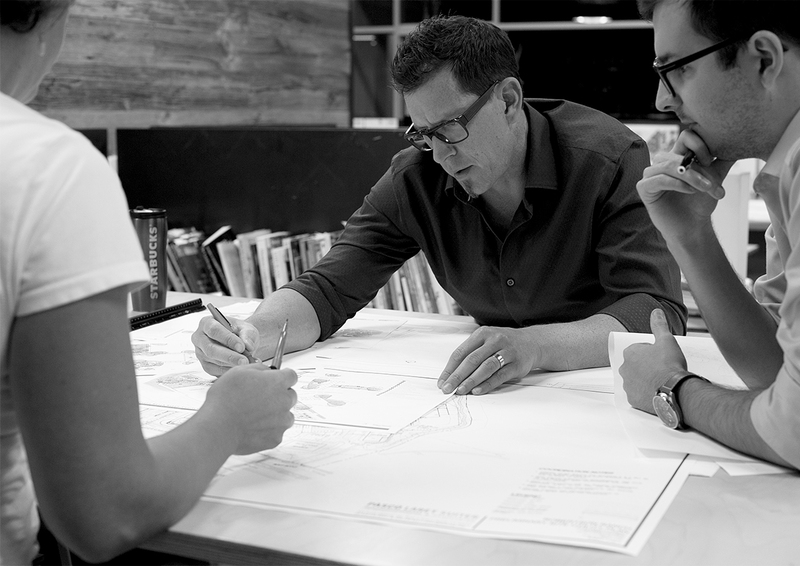 Beginning as a draftsman and a great coffee maker in a residential estate design-build firm in Chicago, Ian learned then that the process of design always starts with one key element – a story. A story provides coherence to an idea and guidance to creating great places. And Ian does love to tell a great story. Through his 15 years in design, Ian has been fortunate to craft great places, from estate gardens, to resorts, to multi-family housing and mixed-use developments. 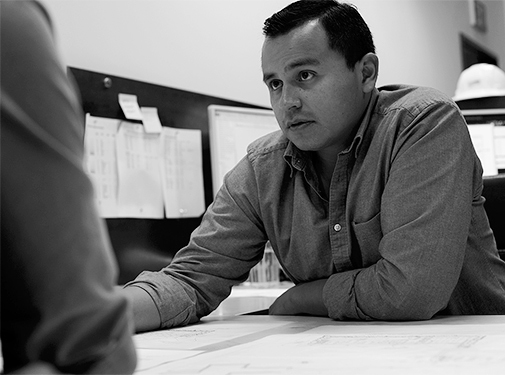 After Jose earned a Bachelor of Architecture degree from the NewSchool, he went to work on the landscape contractor side to get first-hand field experience. Jose has a strong understanding of all facets of the construction process. Experience includes the San Diego Central Library, Campus Pointe and the SDSU Student Aztec Center. Jose enjoys spending time with his family, spoiling his dogs Scarlet & Bandit and getting lost in the desert. Growing up as the daughter of a florist and an engineer, Amanda developed a respect for two very different worlds, horticulture and technical design. At UC Davis, she was able to focus her interests into the discipline of Landscape Architecture. Amanda loves to explore the intersection between the natural and built worlds, crafting spaces that play on their relationship. Outside of work, Amanda values her time with family, travel and music. 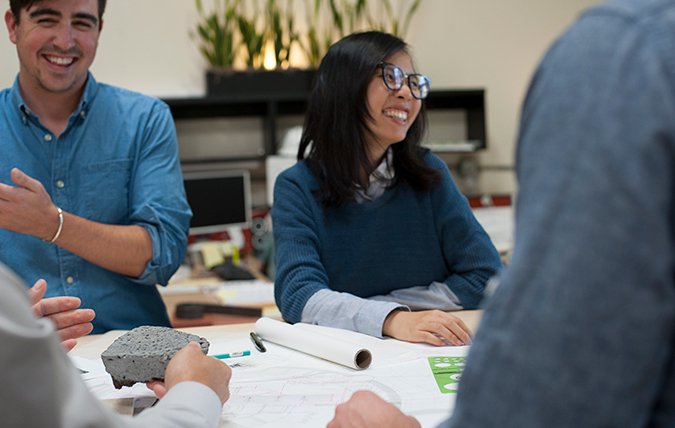 Charles attended the University of Florida Department of Architecture and RMIT University Department of the Built Environment in Melbourne, Australia. Charles has nearly thirty years’ experience as a design leader in landscape architecture, master planning and urban design. His work has been internationally based with projects in North and Central America, the Middle East, Southeast Asia and China. His projects include hotels and resorts, theme parks, golf courses, mixed use/commercial and urban planning and design projects. He enjoys travel, cooking, and being involved in his community. Always in pursuit of creating expressive and meaningful design, Douglas has over 24 years of practice as a Landscape Architect. He has collaborated with premier developers on a wide range of resort, housing, creative workplace and themed entertainment both in the US and abroad. His creative approach helps conceptualize the vision while ensuring project context and story remain evident. Douglas holds a bachelor’s degree in Landscape Architecture from Cal-Poly Pomona. Enjoys paddle-boarding, golf, travel and culinary adventures. Growing up in the Blue Ridge Mountains of North Carolina, John Michael developed an interest in the outdoors from a young age. After receiving his degree in Landscape Architecture from North Carolina State University, he quickly gained experience through his work on a variety of projects, from large scale land development, to urban infill and residential projects. When John Michael is not designing, he enjoys hiking, mountain biking and playing guitar. Blake received his degrees in landscape architecture and environmental studies from Iowa State University where he learned to design with site context and sustainability in mind. Coming from small town Iowa, Blake values the relationship between rural and urban atmospheres. He aspires to create interactive spaces and connections between people. Outside of the office, Blake enjoys motorcycles, sports, travel, and staying active outdoors. Growing up in San Diego, Chase has been involved in all things concerning nature and the environment. Because of his passion for the land and its importance in our daily lives, Chase studied Landscape Architecture and received his Bachelor of Science from Cal Poly Pomona. In his spare time Chase enjoys playing soccer, traveling, and hitting the coast in search of waves. Yuanchi (Ryan) joined GroundLevel in 2016 with MLA degree from Clemson University and BLA degree from Beijing Forestry University. He has experience in landscape architecture, urban design and planning and thinks of landscape as a way to give project sites a second life, with increased functionality and a unique experience for all users. Yuanchi enjoys working-out and music in his spare time. A native of Ohio, TJ discovered a passion for design and ecology early on influenced by his family’s agricultural roots. Inspired by the interaction of sociology and ecology in landscape and urban design, he graduated from The Ohio State University earning his Bachelor of Science in Landscape Architecture. Outside of the office, TJ likes listening to and creating music, primarily playing guitar and singing. Azlynn is a San Diego native and Cal Poly San Luis Obispo graduate. 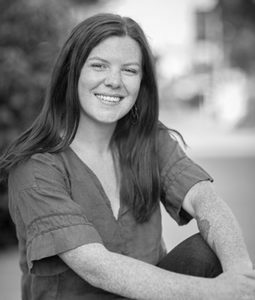 Azlynn has experience in resort design, retail development, master planning, residential landscape design, as well as a nursery management and landscape design/build background. Azlynn focuses on the development of spaces that create opportunity for community and also respond to and encourage growth and stewardship of the native habitat in her work. Outside of the office Azlynn can usually be found on a trail or travel adventure with family and friends. A passion for cityscapes and the history of architecture combined with experience running creative business’s and helping offices stay organized is what brought Maddie to GroundLevel. With degrees in Urban Sustainability, Environmental Studies, and Urban Studies, Maddie aspires to contribute her talents, both creative and practical, to making major cities as functionally green as can be. Outside of work, Maddie enjoys volunteering at local non-profits, spending time with her dog, and painting. A Wisconsin native, Karley grew up inspired by art and design and developed a strong commitment to the environment at a young age. This passion led her to pursue a degree in Landscape Architecture from the University of Wisconsin-Madison. In addition to LA, she studied Three-Dimensional Art and worked in the campus gardens as student director of Arts. For fun, Karley enjoys backpacking, making art, and exploring the beautiful beaches of San Diego. In an effort to expand his knowledge in design, art and the outdoors, Abbas pursued an education in Landscape Architecture at Cal Poly Pomona. Since graduating, he has moved back to his San Diego hometown and joined Groundlevel in 2018 seeking to design spaces that positively impact the environment through sustainability. Abbas enjoys exercising and surfing at La Jolla shores in his free time. 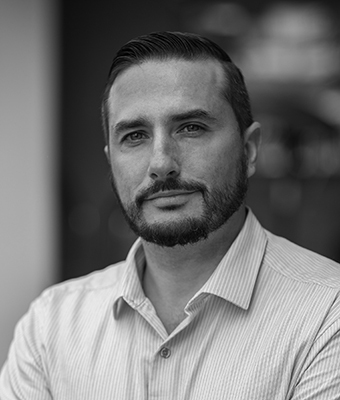 Supporting the creative industry for over 15 years with a keen knack for establishing, organizing, and maintaining the details of a great work environment for both clients and fellow teammates, Evan has extensive experience in personal and executive assisting as well as office and studio managing. Originally from Montana, Evan moved to San Diego earning her degree in graphic design while developing her ever-growing love for music. Brandi Backus graduated from the University of Wisconsin-Madison with a Bachelor of Science in Landscape Architecture. In addition to landscape architecture, she also studied archaeology. This combination allows her to consider landscapes with respect to their past, but also what they can be in the future. Outside of work, Brandi loves travelling and exploring the many beaches of San Diego. 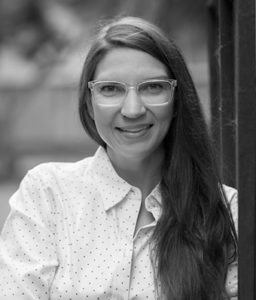 With degrees in both Architecture and Landscape Architecture, Carolina joined GroundLevel as an avid designer who strives to create meaningful experiences between people, the built environment and nature. She is inspired by the healing power of plants and her design approach ensures a positive impact on the environment. In her free time, Carolina enjoys going to concerts, traveling to unique places and visiting her family in Mexico. Ali graduated from Michigan State University with a BA in Hospitality Business and has over a decade of business management experience. With an affinity for budgets and finance, she received a Masters of Accountancy from National University to hone her craft. 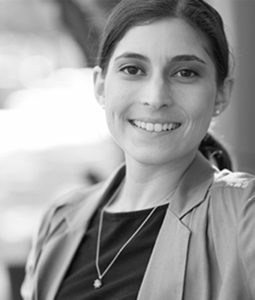 Her background offers a unique perspective and ability to analyze and implement operational efficiency. Out of the office, Ali enjoys hiking, fishing, books, yoga and all things fast and loud. 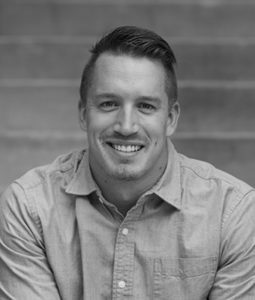 Jules West has a wide range of experience that led him to graduation at the University of Wisconsin-Madison with a Bachelors of Science in Landscape Architecture. From helping run his family’s small retail business in Wisconsin, to working and living at a ski resort in Utah, Jules has taken his experiences to form a unique perspective on design and the built environment. While he’s still an avid Packers fan, Jules now enjoys all things sunshine and California.